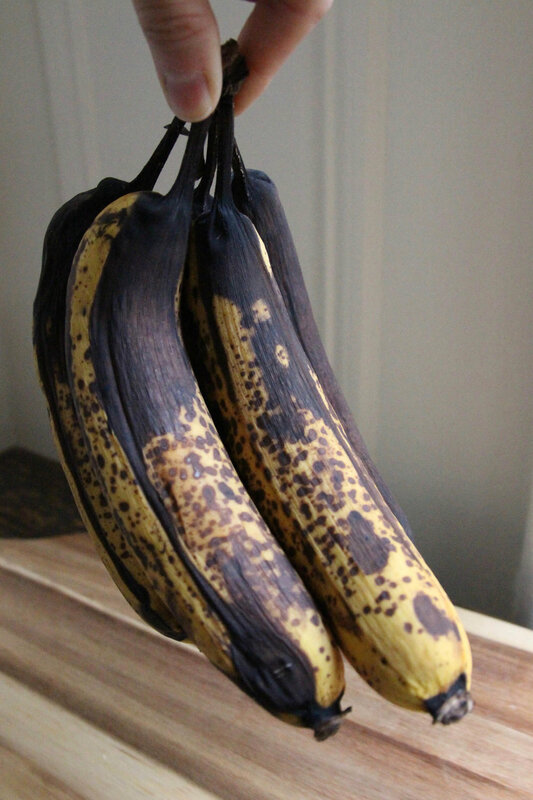 Nearly every time I go to the grocery store, I buy bananas. More often than not, I’ve “accidentally” let them sit too long and have had to “figure out” what to do with them. And then I make these! Funnily enough, people have off the cuff started offering me their extra bananas…in hopes. 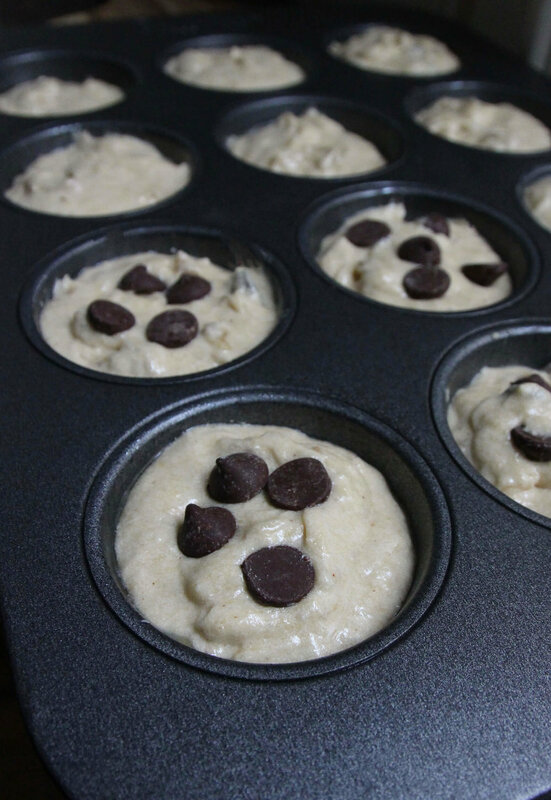 If you’re really into making these muffins but your bananas aren’t ripe enough, put them in the oven at 350º. They should be blackened in roughly 15 minutes. 1. TO MAKE YOUR BANANA BREAD. preheat your oven to 350°. In your stand mixer, cream together your butter and sugar—about 2 minutes. Add your banana chunks, eggs, and vanilla. Add your flour, baking soda, nutmeg, cloves, and salt. Add your 1/2 of your chocolate chips. Add your walnuts, coconut, and golden raisins. Grease your muffin baking sheet with your butter spray. 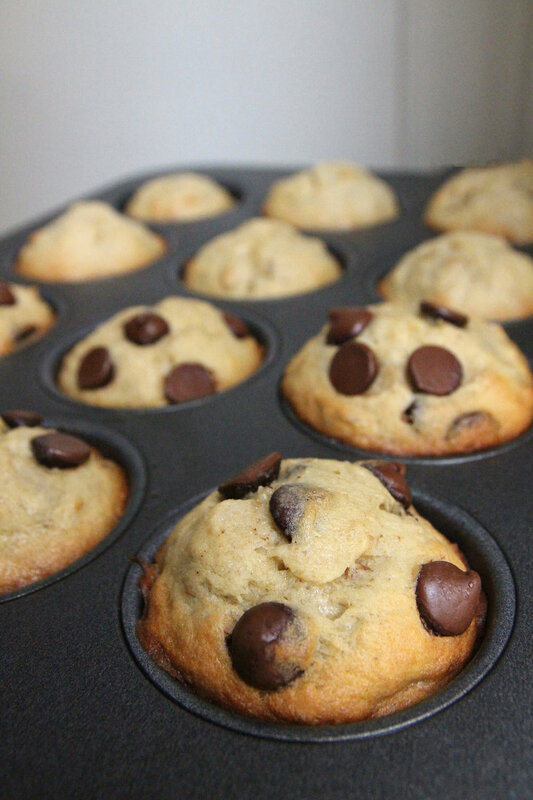 Use your spoon to scoop your batter into your muffin cups—about 3/4 of the way up. Sprinkle on your remaining chocolate chips. Eat at least one while it’s hot—so good!